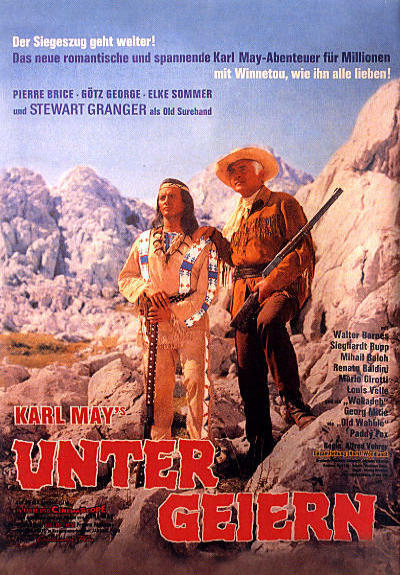 Between 1912 and 1968, German cinema screened 23 movies made after novels by Karl May, most of them only loosely connected to the stories of the respective novels. 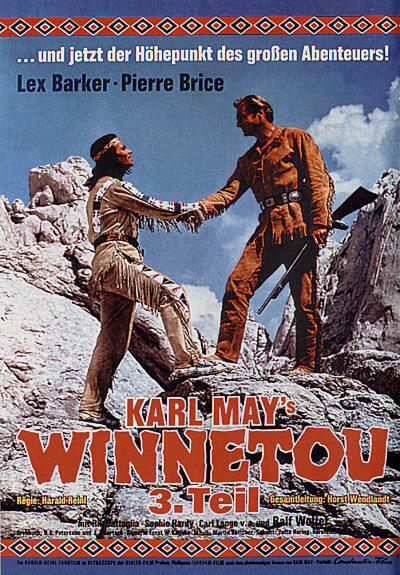 Some of the most popular of these movies were the ones of the 1960s, set in the American Old West and featuring May's most popular, beloved characters - WINNETOU™ and OLD SHATTERHANDÔ. Most of these 1960s movies were shot in the former Yugoslavia, with rugged landscapes providing the backdrop of America's Old West. 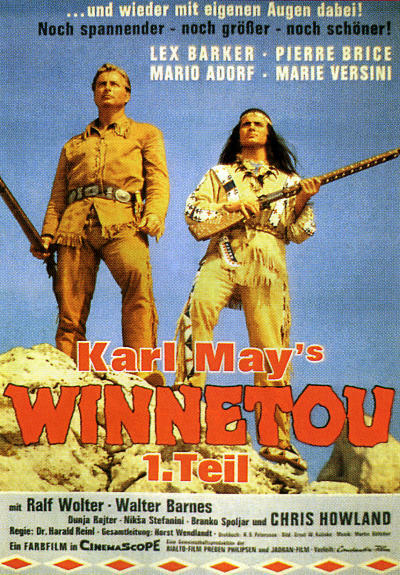 Although these were German language films, some American and international actors became huge stars and successes in Germany from their roles in these Karl May movies. In 13 movies, American actor Lex Barker (best known for playing the role of Tarzan from 1949-1953) starred either as OLD SHATTERHANDÔ or as Kara ben Nemsi or as Dr. Karl Sternau. 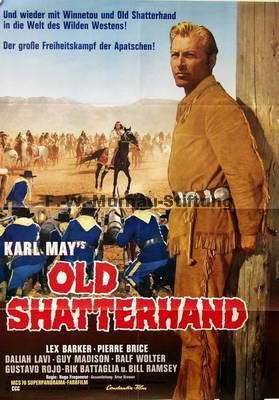 Three movies have seen British actor (also well-known to American audiences of the time) Stewart Granger in the leading role of Old Surehand, one movie starred American actor Rod Cameron as Old Firehand, and there were also movies featuring German stars known to American audiences, such as Elke Sommer and Klaus Kinski. 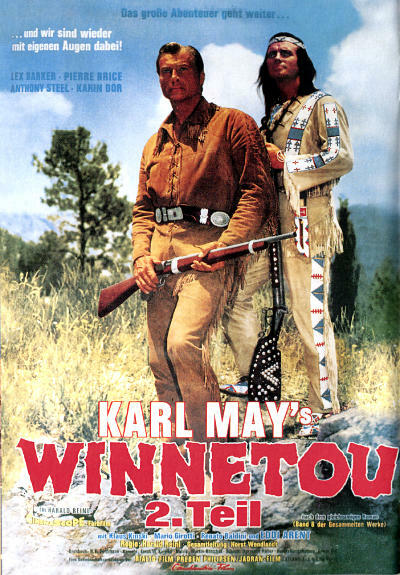 Ten movies featured French actor Pierre Brice as the fictional Apache chief WINNETOU™. For 10 movies of the 1960s, German composer Martin Böttcher wrote landmark film scores, whose success also helped the movies' international success and influenced the Italian movie industry to make Western movies of their own and create a whole new genre, the "Spaghetti Western" (whose most successful composer Ennio Morricone came to fame just after Martin Böttcher). 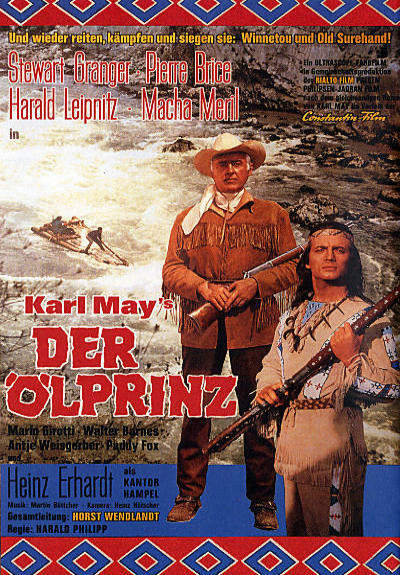 This legacy of films based on Karl May novels began with silent films in the 1920s, but these are now probably lost to the world. With the movies of the 1960s, they are typical of mid-1960s' public sentiment and standards of filmmaking, and they can appear a bit dated to a contemporary audience. 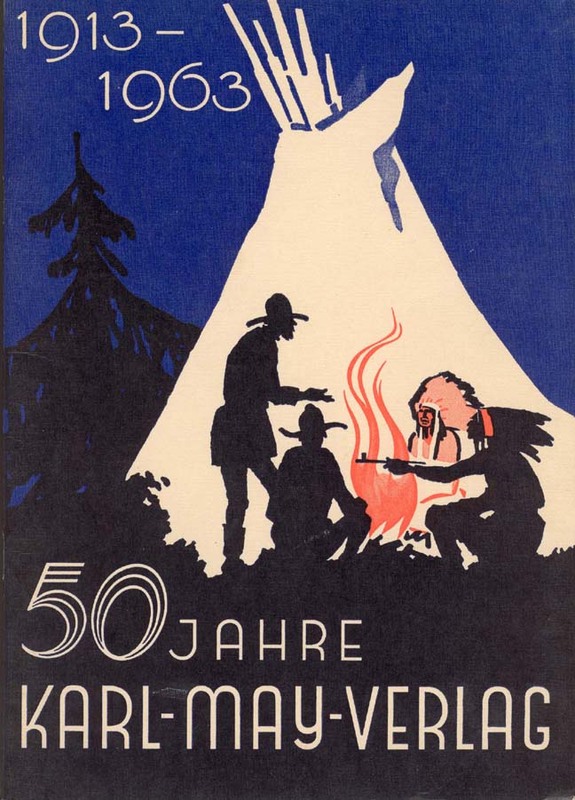 Yet, much of the German image of America (Amerikabild) comes from the western stories which inspired much of the German movies and television programs of the 1960s. "Germans and Indians: Spätzle Westerns" by Jeremy Wasser of College Station, Texas. April 6, 2006. Spiegel Online article. "The Germans' Infatuation with Cowboys and Indians" by Allan Hall, in the London Times on July 30, 2004. "Germany's Wild, Wild West." November 2004. Expatica.com article. Westerns was a huge box office hit in 2001. It is available on DVD (Region 2, German). 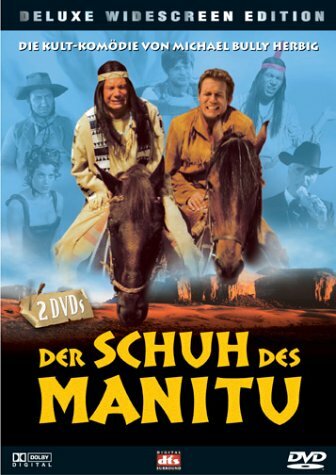 The biggest German movie in recent years was Der Schuh des Manitu (translates to "The Shoe of Manitu") in 2001. So many German moviegoers flocked to see this satiric comedy that the film broke box office records for a German movie. Part of the attraction was how the film satirized the German westerns that most Germans, particularly males, had read as kids. 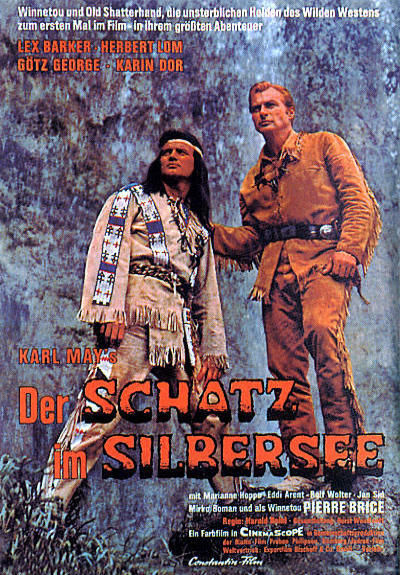 Movie scenes: Michael Petzel: Karl May Filmbuch. Bamberg, Karl-May-Verlag, 1998.